After weeks and months of hype, the Pixel 2 and Pixel 2 XL from Google are now official. 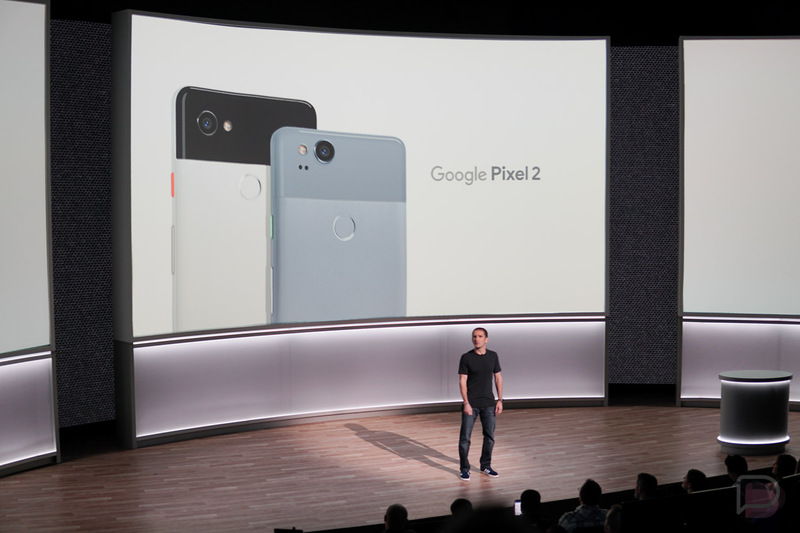 For the Pixel 2, specs include a 5″ AMOLED FHD display, Snapdragon 835 processor, 4GB RAM, 64GB or 128GB of built-in storage, 2700mAh battery, 12.2MP rear-facing camera, and Android 8.0 “Oreo” out of the box. As for the Pixel 2 XL, you will find a 6″ pOLED QHD+ display (18:9), Snapdragon 835 processor, 4GB RAM, 64GB or 128GB of built-in storage, 3520mAh battery, 12.2MP rear-facing camera, and the same Android 8.0 “Oreo” OS. As Google explains, no features will be exclusive to select models, meaning every feature you find on the Pixel 2 XL, you will also find them on the smaller Pixel 2. This includes Active Edge squeezing for Google Assistant, the same camera experience (which DxOMark just ranked at 98), Always On display software, and much more. Google also announced that these devices will receive major software updates for 3 years. So, yeah, that means these phones should receive Android R at some point. For pricing, the Pixel 2 starts at $649 (64GB) and ships on October 17. According to the Google Store, the Pixel 2 XL will begin shipping in 5-6 weeks, starting at $849. Pre-orders are up today. For a limited time, every purchase of a Pixel 2 or Pixel 2 XL will include a Google Home Mini.